3 Advantages of Delta Cooling Towers | Manufacturers of Cooling Towers & Systems | Delta Cooling Towers, Inc.
Water management in many businesses is of utmost importance in today's society. With issues like the drought in California and other water issues around the world, more businesses are looking to water management. Whether you need to cut back because of strict regulations or to save money, Delta's cooling towers have you covered. This is a point that not many people think of when it comes to cooling towers, but it's important. Firstly, the buildup from scale, growth, corrosion, and other deposits will lower the efficiency of the tower by 5% or more. In addition, corrosion means repairs, repainting, and possibly even replacement down the line. Delta towers are made from a durable seamless plastic, so you avoid the issues surrounding metal towers. Taking into account Delta's commitment to affordability, the corrosion resistance of the cooling systems, and their efficiency, you will see huge savings. 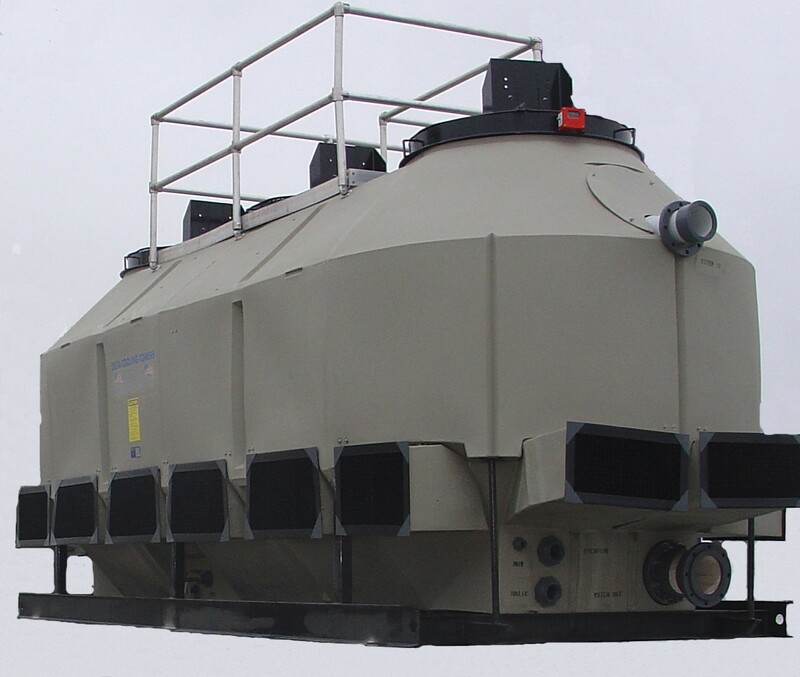 Not only will you save with your initial purchase, but you will continue to save as long as you use the cooling tower thru very low ongoing maintenance costs. The durability of the plastic construction allows owners to run higher cycles of concentration or less water blow-down. This results in substantial water savings. Delta's designs use comparatively less horsepower energy than other designs to achieve the same cooling. Using these systems for cooling water also reduces the wasted water running through your building. Water and energy efficiency leads to extra savings, and a smaller carbon footprint. Are you thinking about investing in a cooling tower system? Which factors here are most important to you? What others are you looking for? Get in contact with one of our professionals to discuss options!